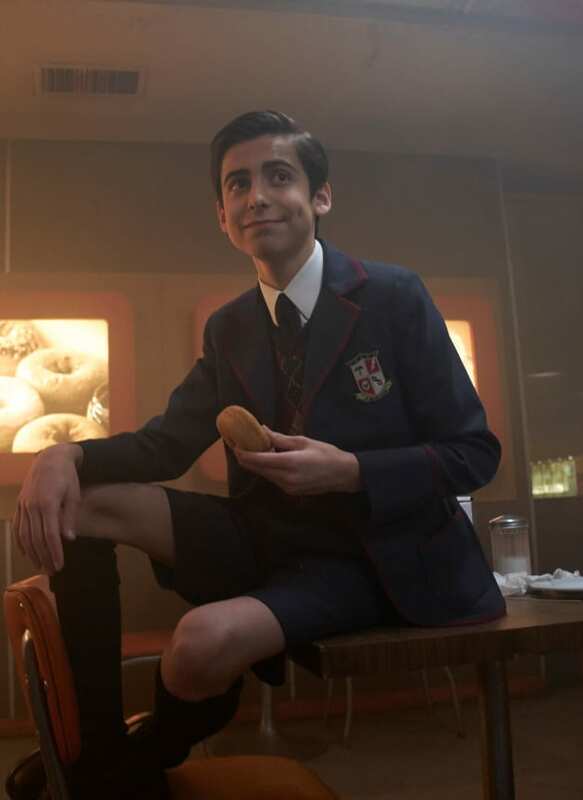 Aidan Gallagher as Number Five aka The Boy is the oldest of the group but appears to be the youngest! Jonathan: I notice a little bit of dryness on your cheek. Jonathan: Okay, let’s talk about that a little. One thing I know about Lupus is that it’s all about SPF. Like, we have to protect your skin from UVA and UVB rays because sun actually can cause inflammation and flare ups for people with Lupus. Jonathan: How you take care of yourself is how the world sees you, and he’s not taking care of himself. Permalink: How you take care of yourself is how the world sees you, and he’s not taking care of himself. Bobby: We are about to pull in. What’s our mission today with Tom? Jonathan: We’re gonna dust off these Christmas ghosts’ pasts of these relationships, we’re gonna sort out his closet, we’re gonna get him cuter, we’re gonna get him looking good, we’re gonna get the house fixed up. We’re ready! We cannot wait. Am I right? Permalink: We’re ready! We cannot wait. Am I right? Lucifer Season 4 Photos: The Devil Rises ... With a New Girlfriend?! Tales of the City: First Look and Premiere Date for Netflix Revival!